Edraw offers you a free collection of vector family cliparts for personal and commercial uses. All the cliparts are editable in print quality - high definition. 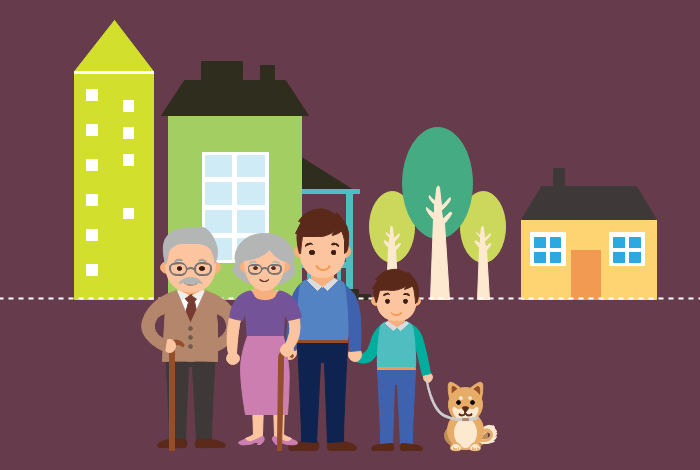 Family cliparts are widely used in flyers, infographics, posters, and org charts etc. It is best designed for describing family members. For those who would like to draw family tree, those cliparts are best option to be applied as avatars. Besides, those family cliparts are vector which means all the parts could be edited. 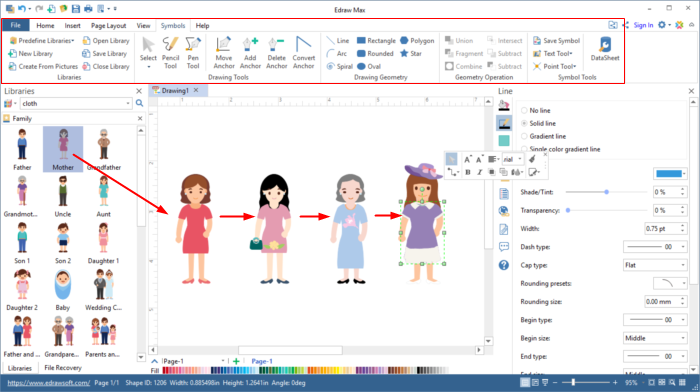 You are able to change the size, colors and shapes of each clipart easily with Edraw software. 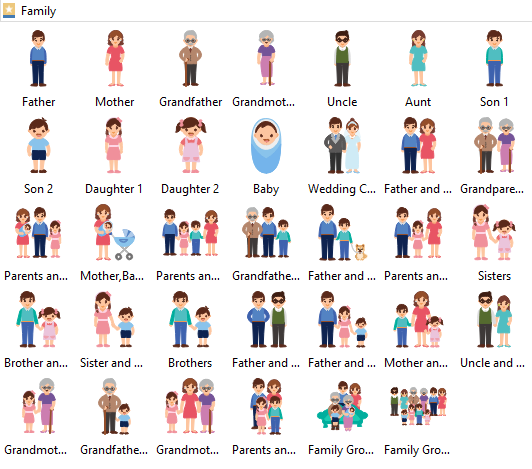 Family cliparts contains three generations which are best designed as focused features of different characters. You can change the facial expressions, gestures, hair styles and clothes of one character for designing a new image of new character. Below is the example of editing cliparts with Edraw Max. You can see one practice of family cliparts designed by Edraw clipart libraries. You can design your own family related images by Edraw products easily with those vector family cliparts.